I enjoyed the March painting challenge, and although I didn't actually paint anything, the idea of Deadcember was one I could get behind if I had the time. So April... I'm just making this one up, since I can't really work "giants" into any amusing wordplay involving a month, nor does anything come to mind for a good April theme, other than the Fellowship of the Ring ("Fly you fools!") -- which I don't have any plans for. So giants it is. This may be a one man Big April Challenge. I'm OK with that. But if anyone else has some long neglected big guys they'd like to paint, feel free to join me! I just spent a bit of time cleaning my favored victims subjects. From left to right, Warploque, Marauder, and Ultraforge. All three are great models, but I'm especially looking forward to that Warploque giant. It'd really got an oldschool vibe to it, and is full of great detail. I didn't expect to have any spare time this weekend, so getting to work on these was a pleasant surprise. 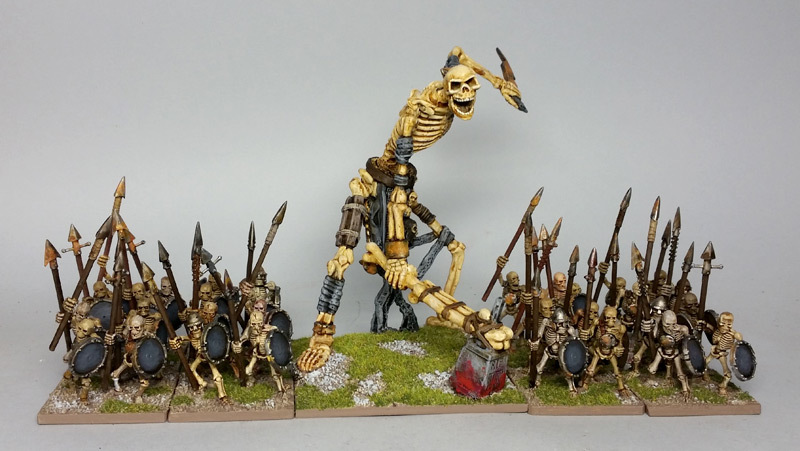 It looks like I may have another spare hour or two, so I may either clean up the Reaper Colossal Skeleton as well and/or start assembling these. Quick assembly. Still need to do some gap filling in a few spots. Last edited by ZeroTwentythree on Sun Apr 01, 2018 7:27 am, edited 2 times in total. 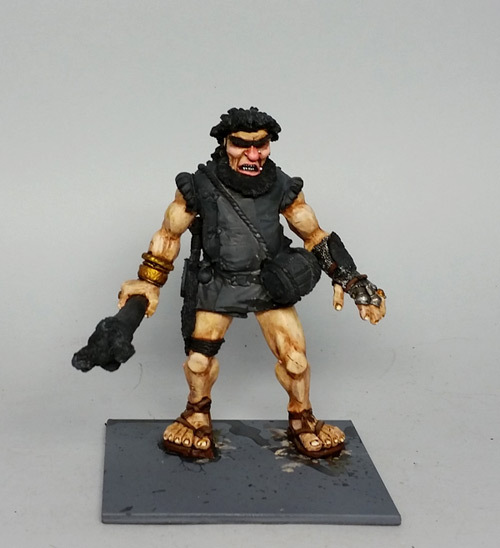 I bought the Marauder Giant ages ago and started painting him (and stripped him) twice. Now, he is just lying unassambled in a box until I can decide how to paint his clothes. On one hand I like the way he is painted on the box picture, but on the other hand I don't want to just make a copy of that paintjob. Maybe your paintjob will bring me new inspiration. You've set yourself a big goal, having painted the Marauder Giant myself, I can appreciate the task - good luck, your going to need it to finish by the end of the month ( I set myself similar targets for the year and fail, but it doesn't stop me trying). This wasn't on my to do list, but it just so happens I have Grenadier Goblin War Giant in the attic which has been collecting dust for way, too long, so lets give it a go! LilBroGrendel wrote: I bought the Marauder Giant ages ago and started painting him (and stripped him) twice. Now, he is just lying unassambled in a box until I can decide how to paint his clothes. On one hand I like the way he is painted on the box picture, but on the other hand I don't want to just make a copy of that paintjob. Maybe your paintjob will bring me new inspiration. I've started on him but still haven't figured out the clothing yet, either. 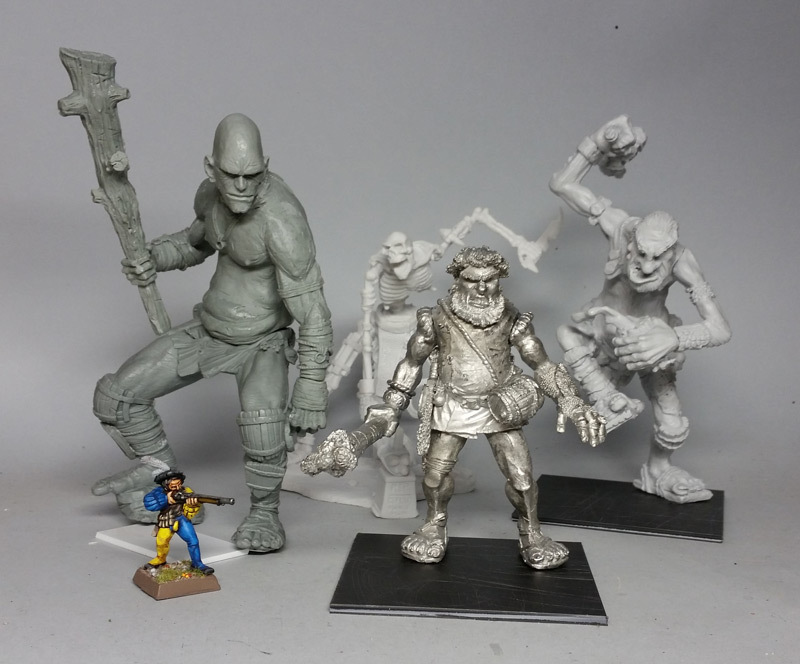 I suspect that may partially be due to differences between the casting materials, and how far resin has evolved since the Marauder giant was first produced. Golgfag1 wrote: This wasn't on my to do list, but it just so happens I have Grenadier Goblin War Giant in the attic which has been collecting dust for way, too long, so lets give it a go! I *love* that model. A classic, but I've seen far too few of them painted - looking forward to it! i want to get a goblin war giant one day. great model. i feel intimidated by the marauder giant. i have one, but i don't really know where to begin with it. one day i'll a grip on it, but not today! I went with the easy one first. 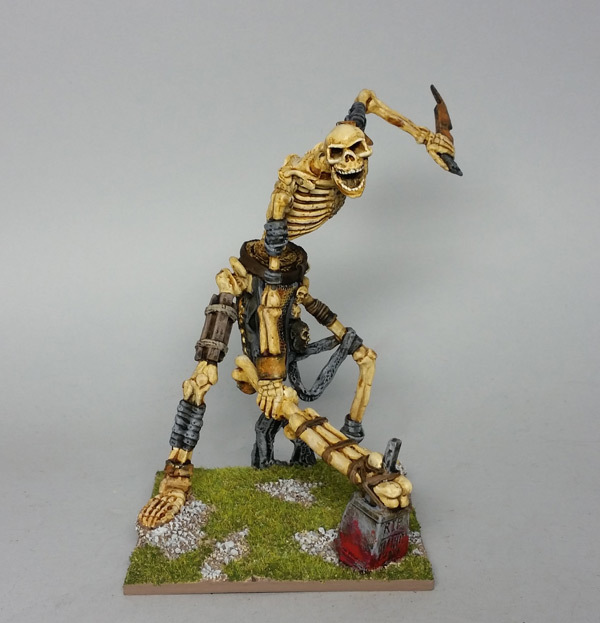 (Apologies, as it's also probably the least "Oldhammer"-ish) The Big Bone. Maybe it's for the sense of accomplishment -- first giant done by the end of the first week. Mostly done. I still might make a few touch-ups. 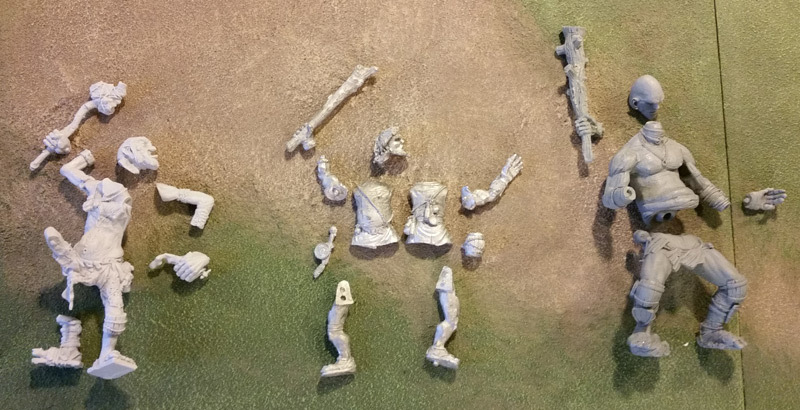 The Marauder Giant is next! A little older, a little hammerer... a peek at my initial progress on the next giant. OK Paul, I picked up the Grenadier War Giant you put me on to .... so I am going to increase the pressure and see if I can get mine done this month too. Currently in 'The Dip'. so you have head start. Great stuff you are cracking on with these. Painted both these two. Don't own the other two so will look forward to seeing those one. Great stuff so far, you're on a roll !